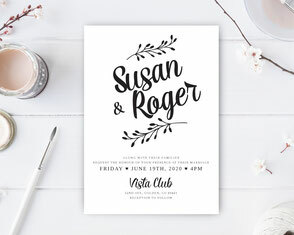 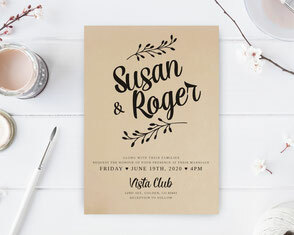 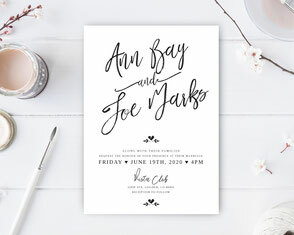 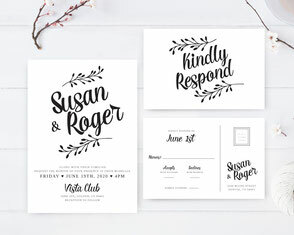 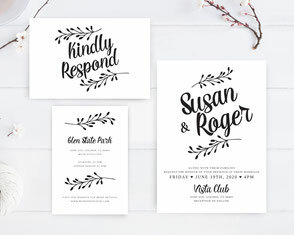 As you prepare to throw an elegant wedding, invite your guest with our Classic Wedding Invitations that are as classy as your upcoming nuptials. 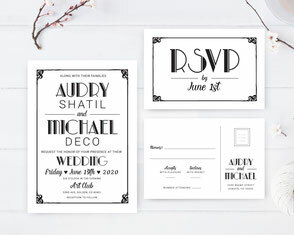 Choose from a variety of classic cards that will effortlessly match everything from a black tie affair to an art deco inspired ceremony. 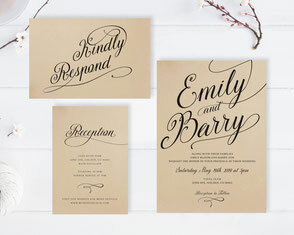 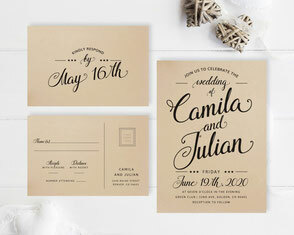 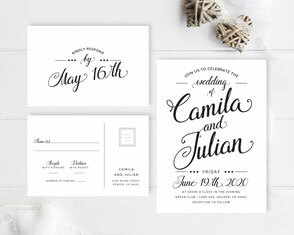 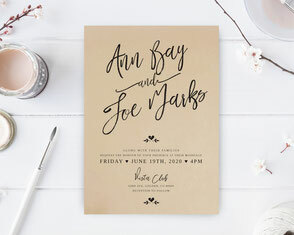 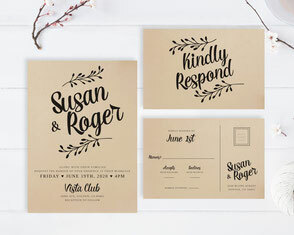 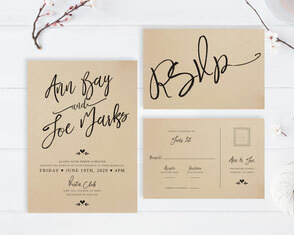 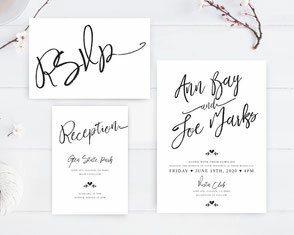 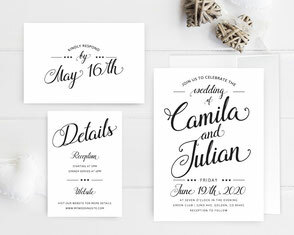 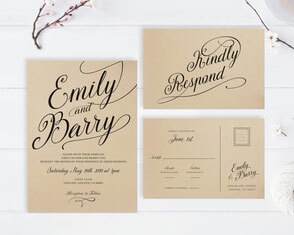 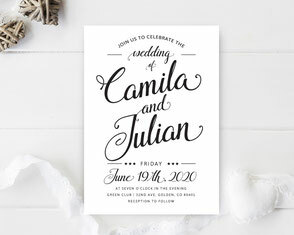 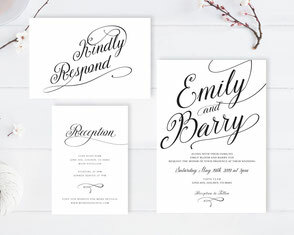 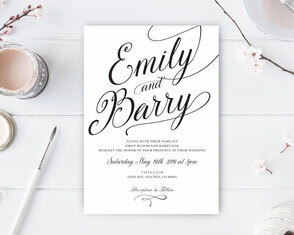 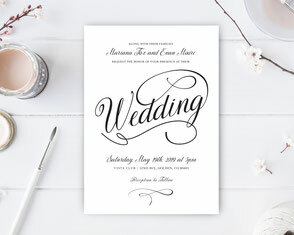 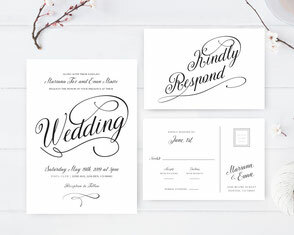 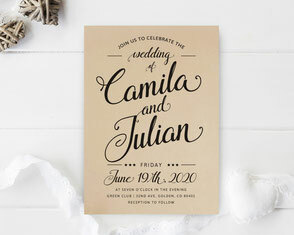 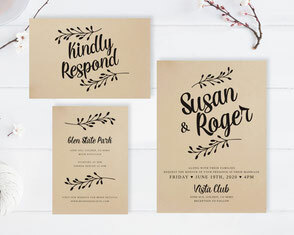 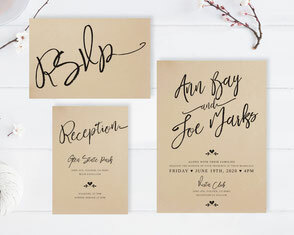 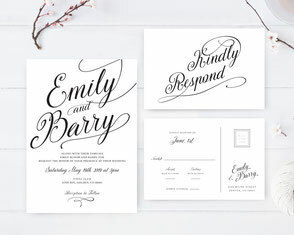 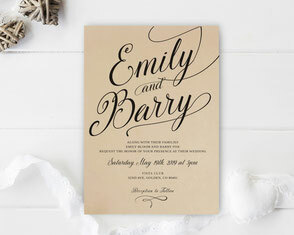 Our invites will also deliver the news of your wedding in black calligraphy that ranges from traditional to retro. 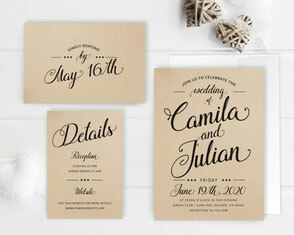 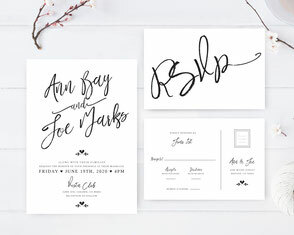 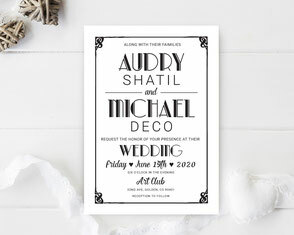 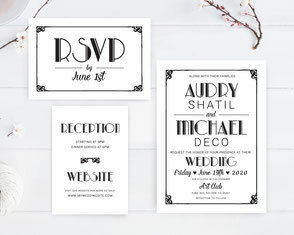 And since the black calligraphy is against a white background, your wedding details will stand out even more. 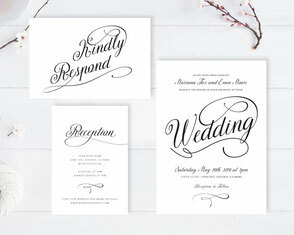 Each of our invitation sets is printed on premium cardstock paper.